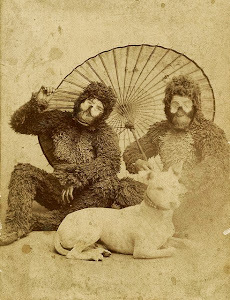 I am almost finished the basic structure for my new traditionally oriented Gorilla Men website and spent some time today working on a few remaining bios. 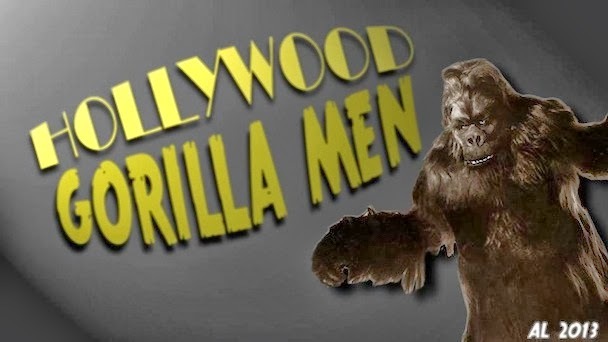 Most of my attention is usually focused on gorilla men of old but I was stunned by a video clip that I came across in my web travels this afternoon. 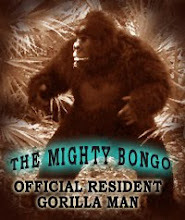 Performer Peter Elliot has spent over twenty years acting in gorilla suits and also choreographing simian appearances on film. His first major film GREYSTOKE may not be the greatest Tarzan outing but it was distinguished by incredible costuming by Rick Baker. 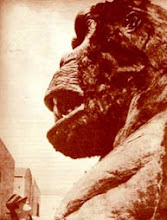 Peter had not appeared on screen a la ape previous to his audition but he made such an impression that he was given the lead role in assembling the ape man's troop. According to his site, the films' production was postponed to allow him time to engage in research and development. I thought it sounded somewhat pretentious but the video below eliminated any doubt that he must have impressed studio execs. The clip originates from footage shot by a English Visual Arts post-grad student Tiago Carneiro da Cunha who entitled it Low Attention Span / High Curiosity Rate (portrait of Peter Elliot). The film maker explains on her blog that the title "refers to how Elliot defines his 'state of perception' while performing." Elliot's nuanced performance is disturbing in that it quickly convinces you that you are watching a Mountain Gorilla, not a short British man with hand stilts. Bloody good stuff - proof a true gorilla man needs no suit. I recently caught the film BUDDY where he plays the titular role opposite Rene Russo. Another exceptional role for this Brit and reason enough to seek out his other films.